On the Maiskogel, your family mountain, excellently groomed slopes with snow-making equipment await you. Heavenly skiing enjoyment for all, whether beginner or expert. 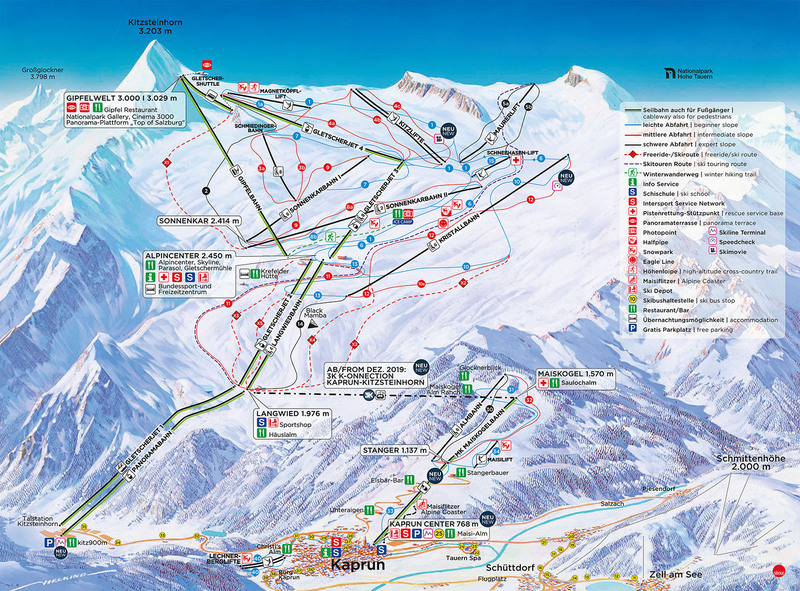 The base station of the new built "MK Maiskogelbahn" is situated directly at the center of Kaprun. Easy access, plenty of free visitor parking, inexpensive lift tickets: these all guarantee pure skiing enjoyment for the whole family.